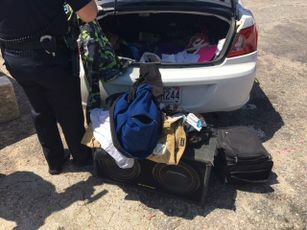 Jim Plott, spokesman with the Alabama Department of Economic and Community Affairs, which is administering the grant, said the database will list all seizures, forfeitures and disposal of property provided by law enforcement agencies. “That information can be used in requests for statistical data required by federal agencies when local agencies may be seeking grants, and it presents a clear record should any concerns arise involving a law enforcement agency,” said Plott. A database that tracks civil asset forfeitures has been discussed and debated in Montgomery for some time. Last year, lawmakers nearly approved legislation to require the development of a database but it was defeated during the waning days of the session following opposition from law enforcement groups. The Alabama Legislature had all the elements in place to pursue bipartisan reform on civil asset forfeiture. But months of negotiations with law enforcement, followed by a key Senate floor debate, resulted in Alabama coming up empty-handed. What happened? In late February, the Alabama District Attorneys Association announced the creation of the Alabama Forfeiture Accountability system that allows law enforcement to voluntarily provide details on property seized during arrest. Carla Crowder, executive director of Alabama Appleseed Center for Law & Justice in Montgomery, said “transparency is welcome and needed,” but that more was needed. The Institute for Justice, in grading states based on their civil asset forfeiture laws, gave Alabama a “D-“ largely because it maintains a low bar to forfeit an asset even if no criminal conviction is needed. The practice of property seizures by police has drawn criticism in Alabama and nationally and received new attention with a recent ruling by the U.S. Supreme Court. In an Indiana case, the court ruled that authorities violated the constitutional prohibition on excessive fines when they seized a $42,000 vehicle from a man who pleaded guilty to selling $225 worth of heroin to undercover officers. Following the ruling, some Alabama-based organizations and lawmakers have called out for civil asset forfeiture reform including possible outright repeal of the practice. A host of lawmakers, including state Sen. Arthur Orr, R-Decatur – who co-sponsored the reform measures last year, and has a similar bill this year – believe a criminal conviction should be required before law enforcement can seize someone’s property. Crowder said she supports the bipartisan solution that is backed by Orr. “The sensible solution to the government overreach allowed by our current civil asset forfeiture scheme is to require a criminal conviction before the government can take someone’s property,” she said. “Alabama needs the reforms outlined in this bill, not a plan and not more delays. This story was updated at 3:45 p.m. on Wednesday, April 10, 2019, to include comments from Carla Crowder, executive director at Alabama Appleseed Center for Law & Justice in Montgomery.